Lulu lives with her family, Zoe, Zak and their children Maia and Jack. 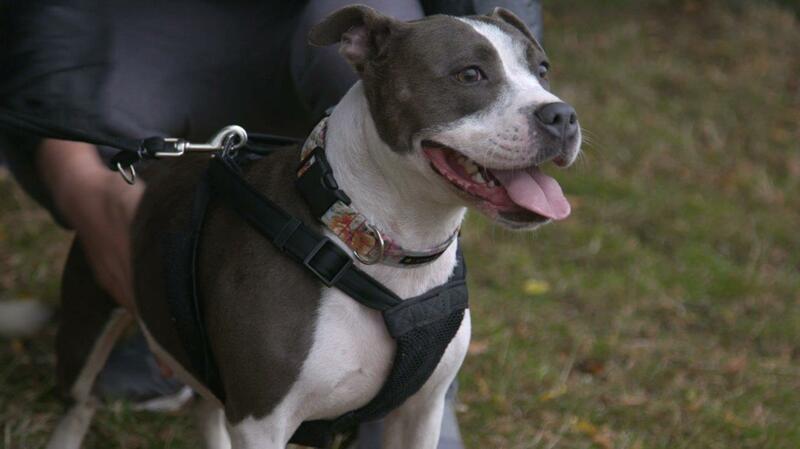 Lulu is the heart of their home, a happy smiley dog with a big personality. 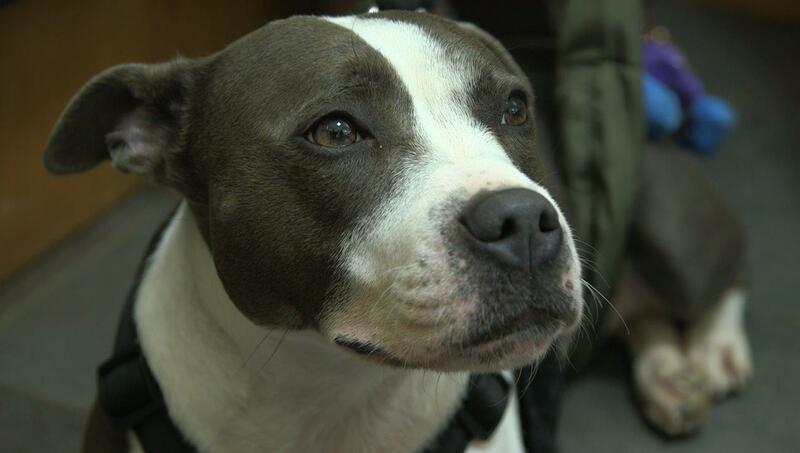 After chasing a fox, Lulu reached a road where she was hit by a car traveling at 40mph. X-ray images taken by her local vet showed that the impact had caused serious and extensive damage to her pelvis. 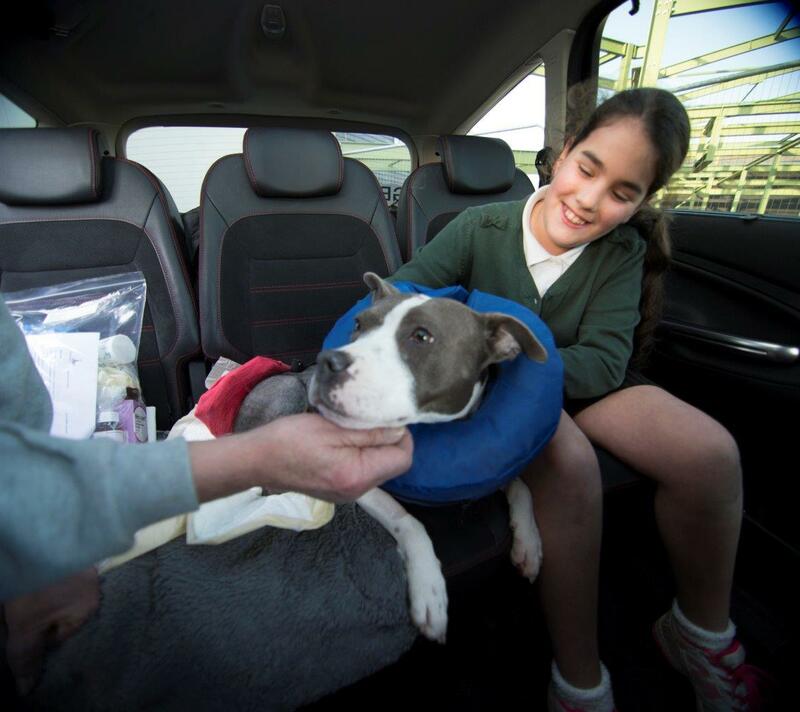 Zoe and her son Jack brought Lulu to Fitzpatrick Referrals to see if anything was possible to repair the damage. Noel explained that the pelvis injury was indeed extensive, but further to this Lulu had also damaged the sacrum, the area of the spine that attaches to the pelvis and that this had fractured through an area where key nerves controlling urinary and defecatory function pass. This was undoubtedly a complex injury and Noel was concerned that she may never recover the ability to urinate normally. The family had a big decision; on the one hand, they could try and repair the damage incurring months of intensive care, but without the guarantee that she would ever be able to urinate alone again, or they could elect for euthanasia. Zoe decided to give Lulu a chance – at such a young age, she still had so much life ahead of her and they wanted to give her that opportunity. There was hope, and they wanted to try. Lulu’s pelvis had fractured into at least 26 pieces; too many to accurately reconstruct. Instead, Noel needed to painstakingly manoeuvre the pieces back into alignment, then skewer the larger ones into place using 13 long metal pins, clamped externally in a temporary frame. Noel used metal pins, rather than the more conventional method of internal plates and screws, to avoid damaging the blood supply to the area that had already suffered extensive damage and bone loss. The pins would be removed once the fracture had successfully healed. The next few weeks consisted of intensive care from every member of the nursing, physiotherapy and auxiliary team. Ultimately, it was a waiting game to see how her recovery would progress and to answer the all-important question of whether she would regain the ability to urinate. If Lulu were a human, she would wait for as long as it took for return of voluntary urinary function and would wear a bag if she had to. Unfortunately, because Lulu is a dog her quality of life can be severely impaired by lack of voluntary urinary function so the option of euthanasia remained in place postoperatively, as we had a moral responsibility to do what is right for Lulu. The family were able to take Lulu home once her catheter was removed and were instructed to manually express her bladder 6 times a day. 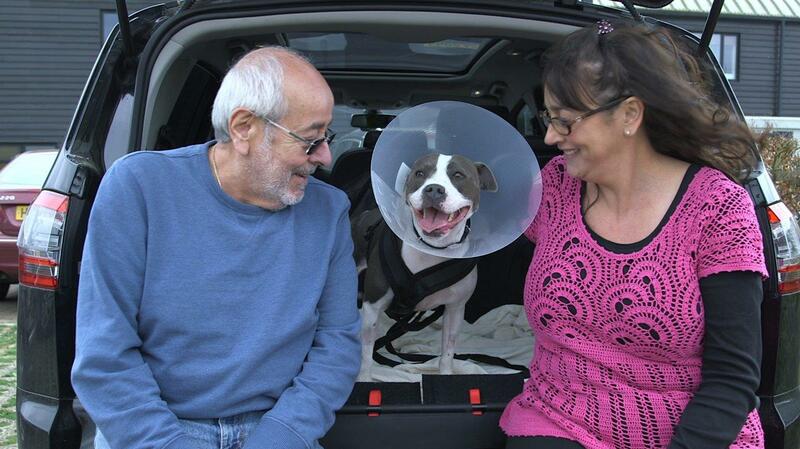 For 10 weeks the family cared for Lulu, waiting for signs that Lulu was regaining the ability to urinate alone. Twelve weeks later, the family brought Lulu to see Noel and he was thrilled to see how happy she was in herself, and impressed with the progress she had made. Though she is far from completely fixed, she’s doing a whole lot better and her quality of life was clear for all to see. Until you are in that terrible position, it is impossible to know what the right thing to do is or guess how you would feel or how you would act. However for Lulu and her family, we are delighted to see how she has thrived and her bubbly personality shining through.